Key legislators will meet later this week with Gov. LePage, hoping to address his objections to a proposed regulatory framework for the sale, production and taxation of pot for adult recreational use. AUGUSTA — Key lawmakers will meet with Gov. Paul LePage on Friday to try to reach agreement on how to change an adult-use marijuana bill so it would gain his support. 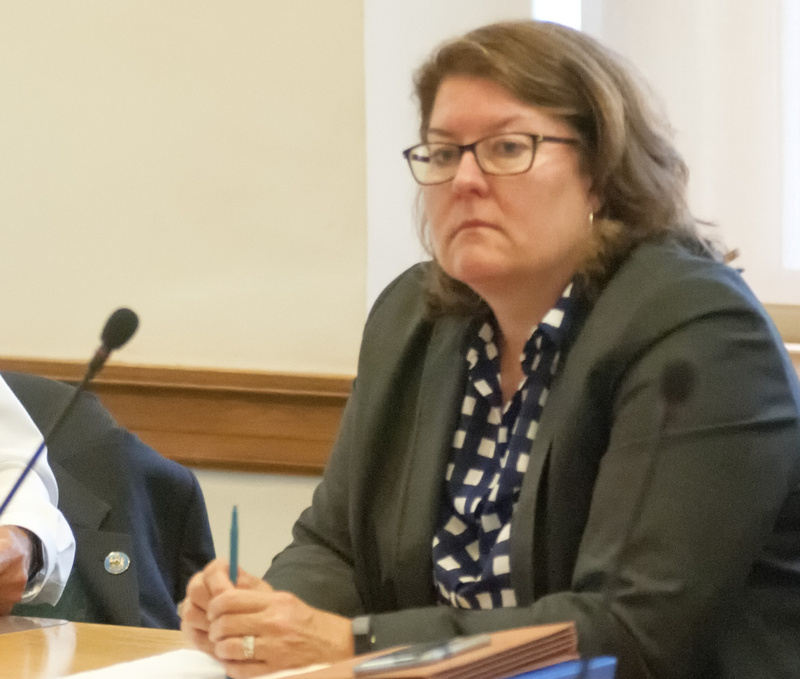 Members of a special committee that drafted the bill after state voters approved legalization in 2016 said they were optimistic that they could reach a compromise on issues that led LePage to veto the measure in November. “I’m feeling positive that if we can resolve a few of these issues, I think there is a pathway to passing a bill,” said Rep. Patrick Corey, R-Windham. Corey, a committee member who opposed the original measure. The new legalization bill will be debated when the legislative session begins next week, and a public hearing is scheduled for Jan. 5. The bill would set up a regulatory framework for the sale, production and taxation of marijuana for adult recreational use. Corey said Republicans largely opposed having a portion of marijuana sales tax revenue earmarked for cities and towns that host retail marijuana stores. Many Republicans see that as a form of local-option sales tax that might encourage some towns to recruit marijuana sellers, or lead to “marijuana deserts” in some areas, where legal marijuana would not be available and black markets would flourish, he said. Corey said there are also concerns that the proposed 10 percent sales tax and 10 percent excise tax on retail sales would not generate revenue quickly enough to cover the cost of setting up a licensing system. He and others have said the sales tax on marijuana should be a flat 20 percent or more to ensure that recreational marijuana pays for itself. LePage and other Republicans also didn’t want the Maine Department of Agriculture to regulate production and growing operations. They want it regulated by the Department of Administration and Financial Services, which includes the Bureau of Alcoholic Beverages and Lottery Operations – the agency that regulates liquor sales. Attempts to reach LePage’s office for comment Wednesday were not successful. In November, minority House Republicans sustained a LePage veto of a bill passed in October to establish rules for recreational sales and taxation. The measure would have set licensing requirements, a sales tax schedule and safety testing of marijuana products, among other provisions. The new bill’s author, Rep. Teresa Pierce, D-Falmouth, House chair of the special Marijuana Legalization Implementation Committee, said Wednesday that L.D. 1719 will likely be amended to address concerns raised by LePage and House Republicans. Voters legalized adult use of recreational marijuana in 2016, which allowed possession of up to 2.5 ounces for anyone 21 and older, but did not establish a system governing retail sales and production. “Every day that goes by that communities don’t know what to do or how to proceed it’s another day the black market continues to thrive and it’s another day that our kids are not protected, so we are looking to work diligently, address the concerns and then bring it back to the House floor,” Pierce said. A moratorium on retail sales approved last January, which also made no provisions for sales and excise tax collections, will expire Feb. 1. The voter-passed law allows adults to grow up to six plants for their own use, but does not allow commercial production or retail sales. It also repealed previous state law that prohibited giving marijuana away or using it as a promotional item. In his veto letter, LePage said the earlier bill set unrealistic timelines for launching the market, failed to address shortcomings in the medical marijuana program, created a confusing regulatory system, and would not generate enough tax revenue to cover the cost of regulation. The governor also has expressed concerns that legalization conflicts with federal law, which defines marijuana as an illegal drug. An attempt to override LePage’s veto of the previous bill fell 17 votes short in the House in November. “We are obviously looking for a way to tweak the previous bill to get it over the finish line here,” said Sen. Roger Katz, R-Augusta, Senate chairman of the Joint Select Committee on Marijuana Legalization Implementation. He said the new bill will have to be amended to gain enough votes to overcome another veto if it fails to satisfy LePage.